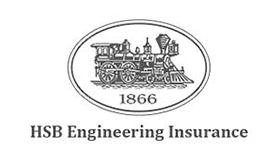 HSB Engineering Insurance, a proud part of Munich Re, is a leading specialist engineering insurance and inspection services provider. With underwriting that covers a broad range of technologies and industry sectors, including construction and renewable energy and a strong heritage stretching back over 149 years, HSB Engineering have the knowledge to help you stay ahead of emerging risks in a complex world. A client since 1991, Eclipse has implemented Infor SunSystems financial management and the Sharperlight business intelligence and reporting tool, to enable HSB Engineering to get greater control of its data due to its simplicity, flexibility and rich functionality. To find out more about Infor SunSystems or Sharperlight and how these solutions can benefit your organisation, please contact us on +44 203 866 8800, or register your interest here.